spun from stash and comparing knitted samples. Per my agreement with my No. 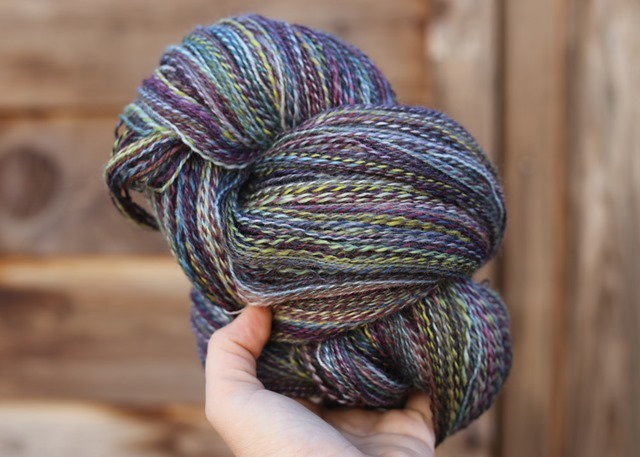 1 partner (aka my husband), I am spinning from stash for much of the rest of the year. 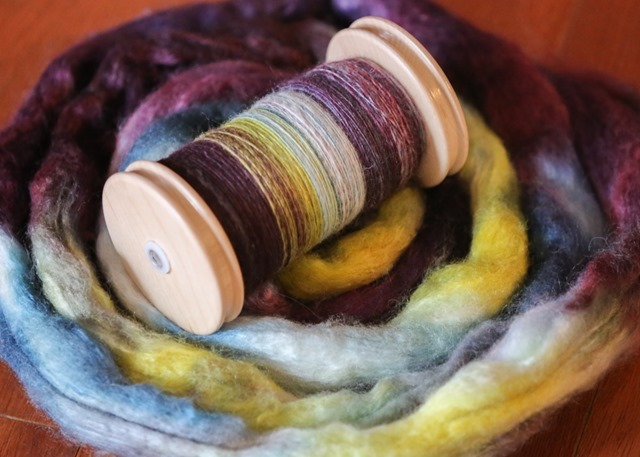 We have two festivals in the fall that I faithfully attend :: Knit City and The Langley Weavers and Spinners Guild Artisan’s Sale. 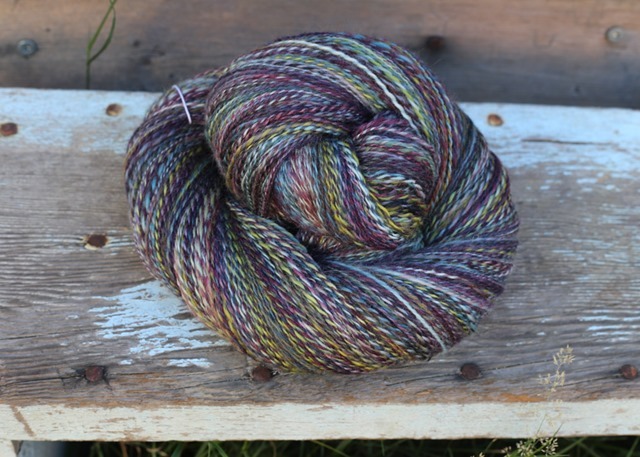 Knit City always promises some really interesting and different items with vendors from around the western parts of Canada and the US, including The Wacky Windmill, Spincycle Yarns and Ancient Arts Fibre Crafts. Here is a list of the vendors for 2015, which features some new people and also returning. I will be attending both of these festivals with cash-in-hand and a limited budget to add very strategically to my stash. 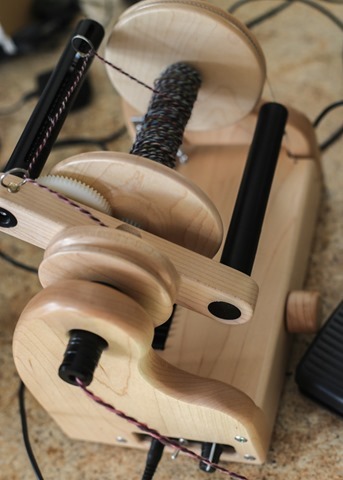 I will add mostly, if not completely exclusively, fibre for spinning and knitting projects that I have pre-planned and a small amount of money will be set aside for “Oh my gosh, I have to have that now!” stuff. The reason for this strategic planning and subsequent spending is simple. If you watched July 2015’s Episode 7 of the podcast, you would have unpacked with me my new-to-me Roadbug wheel and I made mention of another new wheel: a Hansen miniSpinner. I feel as if everyone is spinning on a Hansen right now but I know that this is not the case. It’s just that The Knit Girllls and Jasmin of The Knitmore Girls have all been using their Hansen’s lately (and also talking about them on the podcasts). Well, I have my first spin off of my Hansen finished … and I’m kind of in love. For plying, anyways. 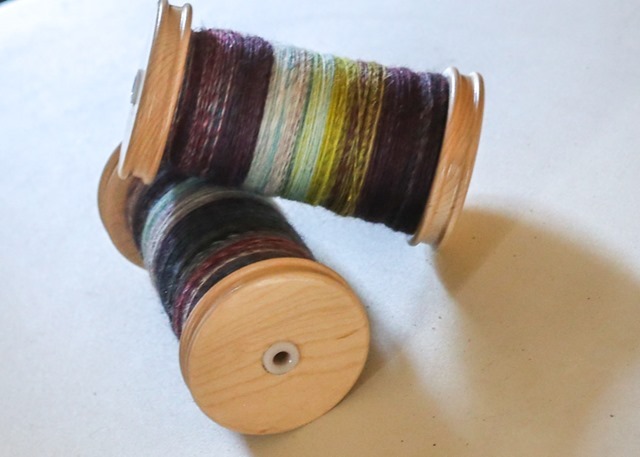 Although the resulting yarn is perfectly balanced pre-bath, which is not my favourite as I prefer a little bit more twist in my yarns, and therefore needed slightly more twist in the ply, it was lovely and fast to ply on the Woolee Winder on the Hansen. And a heck of a lot less work than any other wheel I’ve plied on! My goal and result with this yarn was a two-ply lace weight. It is lovely, soft, lustrous and saturated in colour. I am really happy with the results. 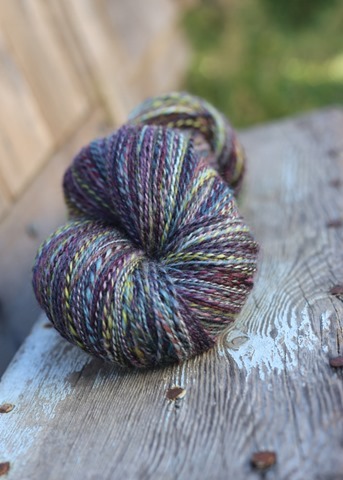 The original fibre was dyed with dark red-wine purples, lime green and lovely teal blues. It was a little bit atomic. I knew it would barber pole and was torn about making this a three-ply. I wanted the yardage that a 2-ply would give me, however, so I stuck to my guns about a 2-ply and carried on. Sorry for the slightly terrible bobbin shot but you can see the intensity of colour prior to plying. In the end, this is really lovely yarn. I’m excited to knit with it. An article in the most recent issue of Ply Magazine (the FINE issue, Summer 2015) compared highly twisted fine yarn, ‘balanced’ fine yarn and under spun fine yarn in knitted samples. I actually liked the medium twist the best in the knitted sample although I preferred the look of the high-twist yarn in the skein. I have to admit, I was surprised at my reaction. Due to my goal of knitting with most of my handspun, knowing which yarns I prefer when it comes to the actual knitting is most important. So while I would like to put this back through and add most twist to make it look more highly twisted, my gut is telling me to knit with it first and see if I like the knitted sample before I re-ply it. Also? I kind of completely love plying on the Hansen. But more on that later. Previous Post the proverbial fence. I was thinking that looked like a low twist. I am curious to hear what you think about the results! 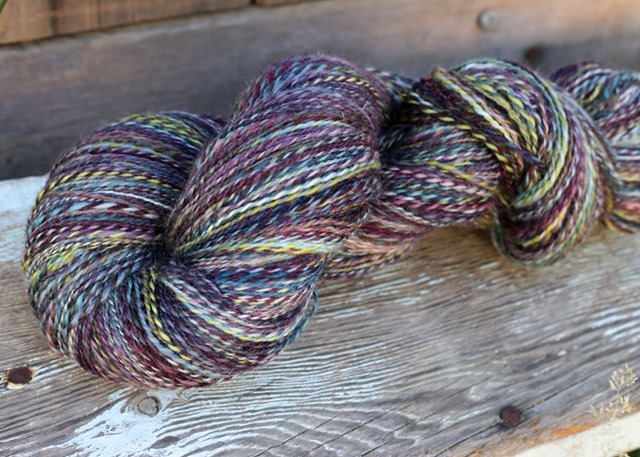 I met up w some guildies for spinning last week, and brought a skein which looks under spun to me, but they said it looks fine. Any it’s draped with alpaca and silk, so really suits drapey fabric. Still no idea what to do with it!